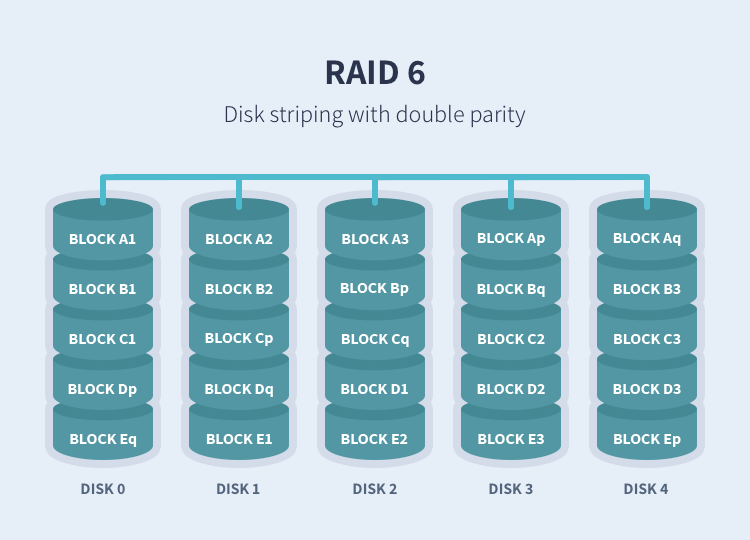 RAID 1 writes and reads identical data to pairs of drives. This process is often called data mirroring and it’s primary function is to provide redundancy. If any of the disks in the array fails, the system can still access data from the remaining disk(s). Once you replace the faulty disk with a new one, the data is copied to it from the functioning disk(s) to rebuild the array. 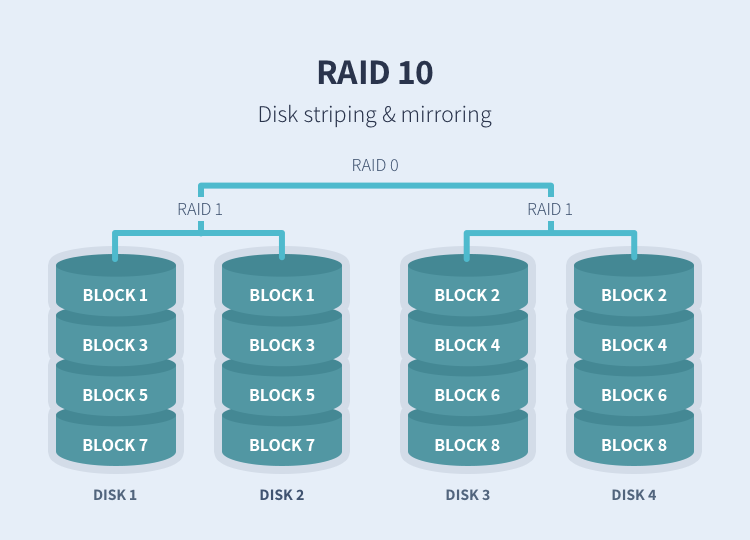 RAID 1 is the easiest way to create failover storage. RAID 2 consists of bit-level striping with dedicated Hamming-code parity. All disk spindle rotation is synchronized and data is striped such that each sequential bit is on a different drive. Hamming-code parity is calculated across corresponding bits and stored on at least one parity drive. This level is of historical significance only; although it was used on some early machines as of 2014 it is not used by any commercially available system. 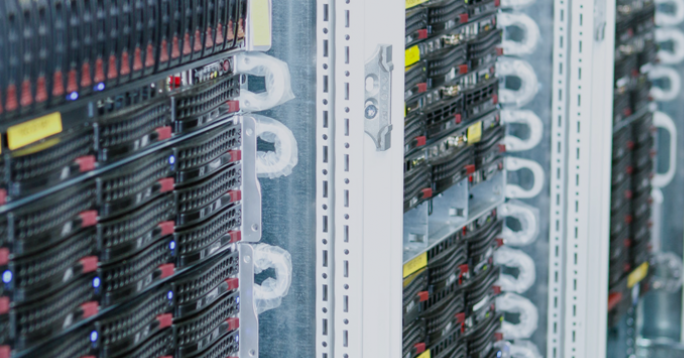 RAID 3 consists of byte-level striping with dedicated parity. All disk spindle rotation is synchronized and data is striped such that each sequential byte is on a different drive. Parity is calculated across corresponding bytes and stored on a dedicated parity drive. Although implementations exist, RAID 3 is not commonly used in practice. 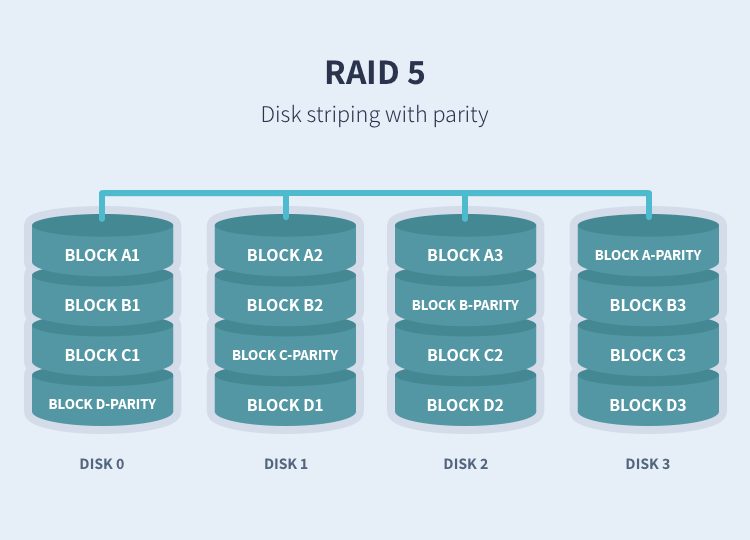 RAID 4 consists of block-level striping with dedicated parity. This level was previously used by NetApp, but has now been largely replaced by a proprietary implementation of RAID 4 with two parity disks, called RAID-DP. 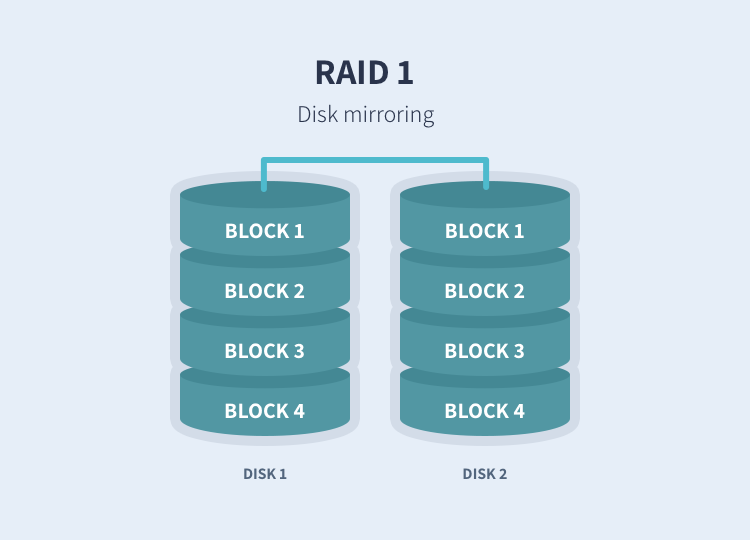 The main advantage of RAID 4 over RAID 2 and 3 is I/O parallelism: in RAID 2 and 3, a single read I/O operation requires reading the whole group of data drives, while in RAID 4 one I/O read operation does not have to spread across all data drives. As a result, more I/O operations can be executed in parallel, improving the performance of small transfers. creates two stripes and mirrors them. If a single drive failure occurs then one of the stripes has failed, at this point it is running effectively as RAID 0 with no redundancy. Significantly higher risk is introduced during a rebuild than RAID 1+0 as all the data from all the drives in the remaining stripe has to be read rather than just from one drive, increasing the chance of an unrecoverable read error (URE) and significantly extending the rebuild window. JBOD RAID N+N: With JBOD (just a bunch of disks), it is possible to concatenate disks, but also volumes such as RAID sets. With larger drive capacities, write and rebuilding time may increase dramatically (especially, as described above, with RAID 5 and RAID 6). By splitting larger RAID sets into smaller subsets and concatenating them with JBOD, write and rebuilding time may be reduced. If a hardware RAID controller is not capable of nesting JBOD with RAID, then JBOD can be achieved with software RAID in combination with RAID set volumes offered by the hardware RAID controller. There is another advantage in the form of disaster recovery, if a small RAID subset fails, then the data on the other RAID subsets is not lost, reducing restore time. Intel Core i3 vs i5 vs i7 – Which is right for you? Full vs Semi vs Non Modular Power Supply. What Are The Differences? Wireless B vs G vs N vs AC – What Is The Difference? Email: What’s the difference between IMAP and POP?